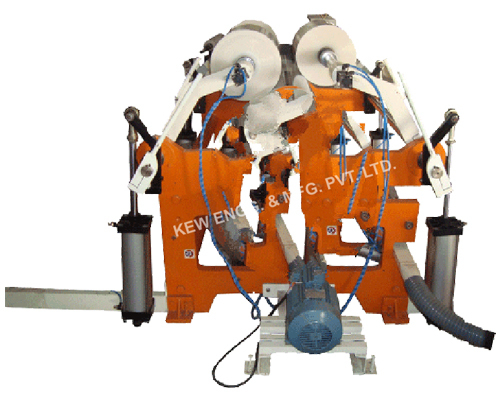 KEW is a Leading Manufacturer, Supplier and Exporter Drum Type Slitting Rewinding from Ahmedabad, our product range includes Fabric Slitter Rewinder Machines such as Non Woven fabric Slitting Rewinding Machine, Nylon Dipping Fabric Slitter Rewinder Machine and Liner Fabric Rewinding Machine. Our Center Drum Slitter Rewinder Machine is a multipurpose Slitter Rewinder for slitting all types of Materials. Different types of Plastic & Paper Materials are used for different type of applications like, PVC, LDPE, HDPE, BOPP Film, etc. After Printing in Rotogravure Printing Machine or Flexo Printing or Extruded materials.